Katherine has a BSc in Mathematics, and an MSc and PhD in Medical Statistics. 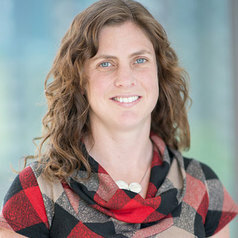 She is a senior biostatistician at the Murdoch Childrens Research Institute, and is the Associate Direct of Biostatistics in the Melbourne Children’s Trials Centre at the Royal Children’s hospital. She has extensive experience in clinical trials and epidemiological research, and has been involved in numerous studies covering a range of aspects of medical disciplines.